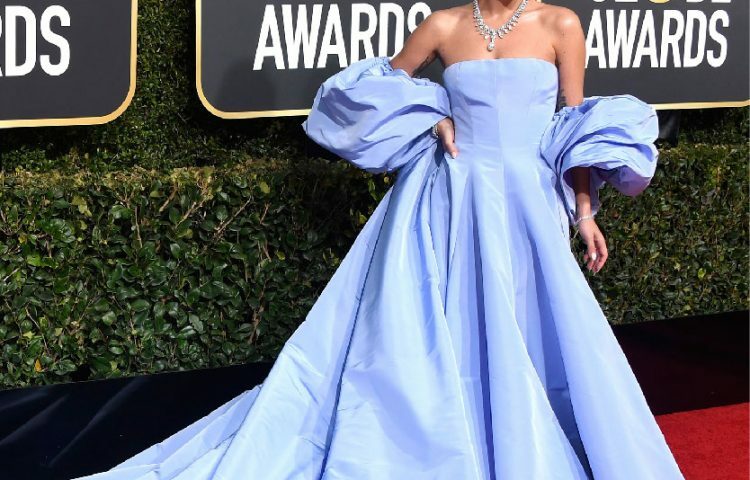 By tweaking the romantic connotation with rare or playful elements, designers are wielding an irresistible pull this season to bring fun, colour, and creativity to the classic heart motif. 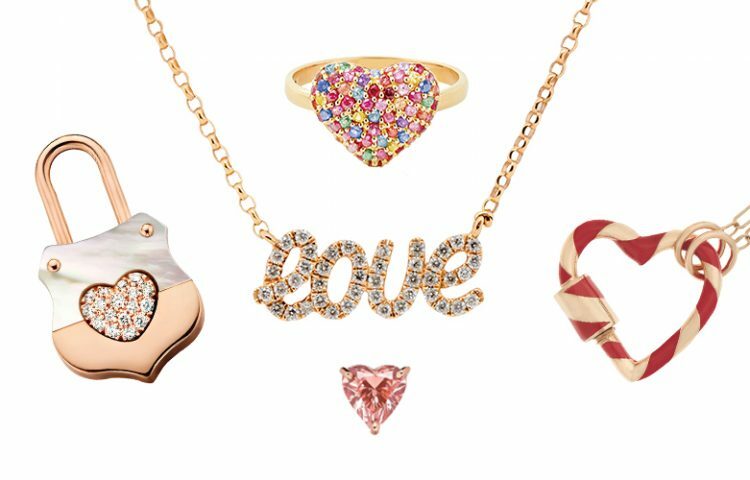 The newer collections have a vibrant feel, thanks to a lively mix of patterns and ingenuity in keeping with the idiosyncratic Valentine’s Day spirit. 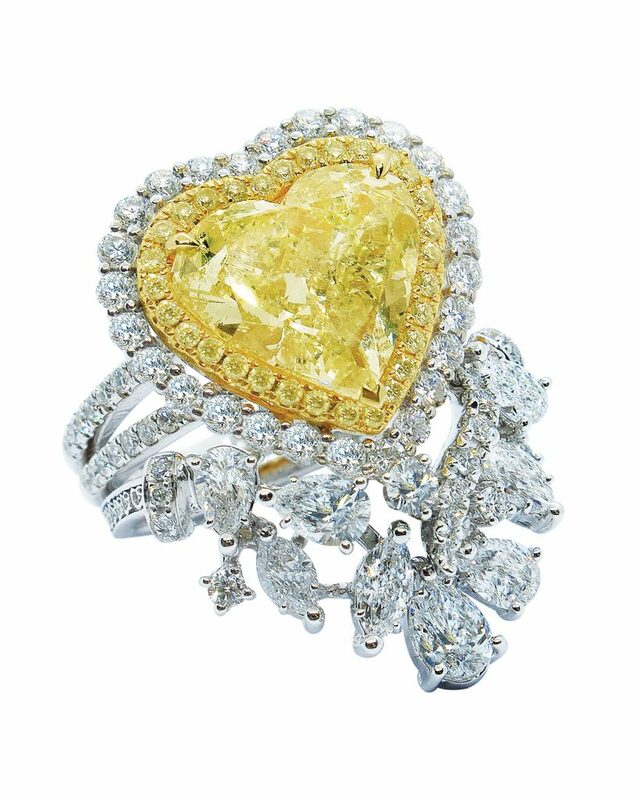 Heart-shaped diamonds are rare and uncommon, with only less than 2% GIA-certified available in the world. 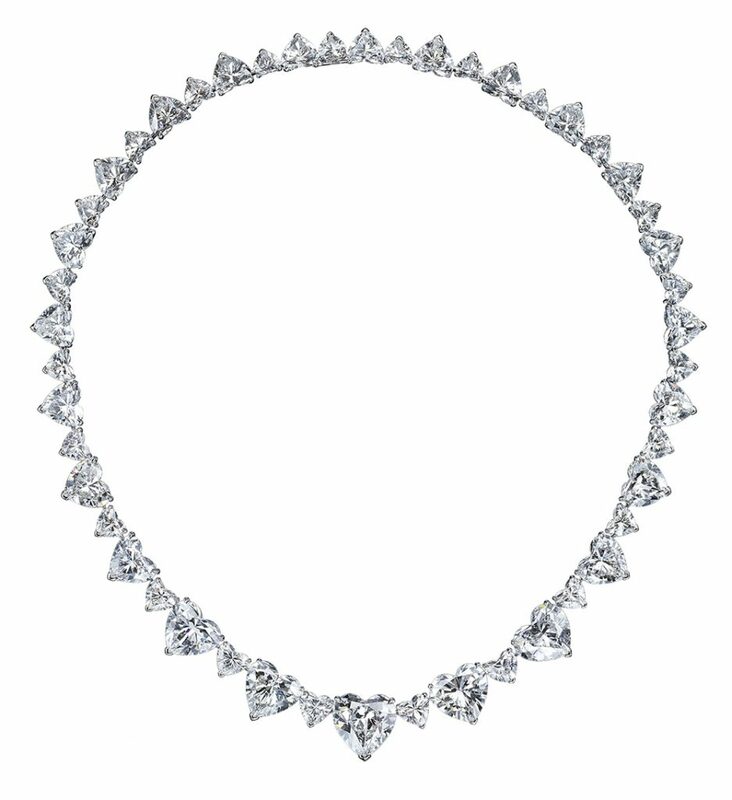 Dehres’ ode to the love season comes in a stunning diamond necklace featuring not one, but 48 pieces of heart-shaped diamonds, totalling over 80 carats. 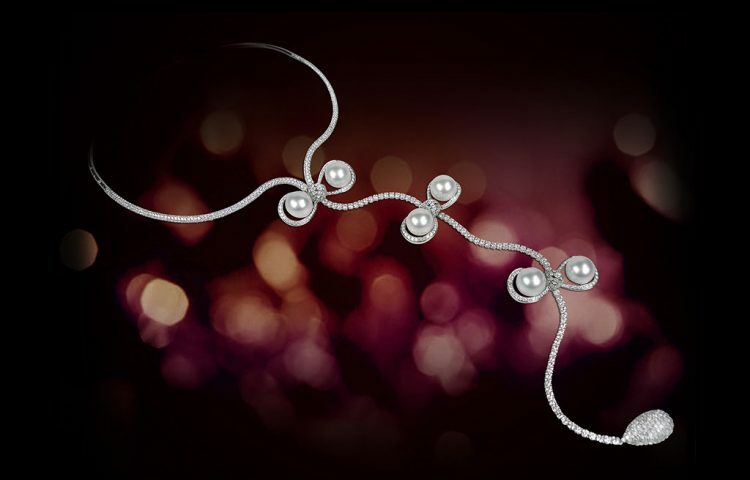 To showcase the natural beauty of the diamonds, Dehres opted for an understated yet elegant design. Marla Aaron makes locks and links that connect in an adorable way. 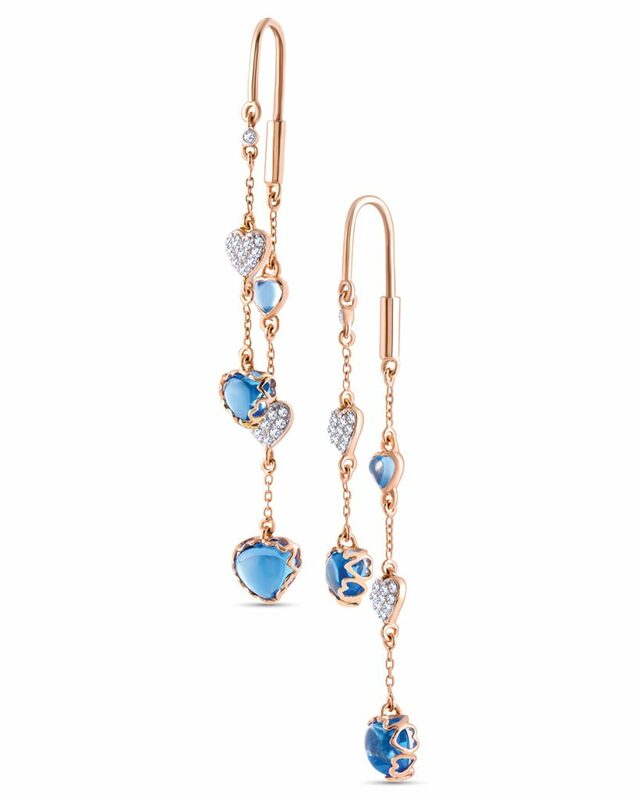 Giving the classic heart motif a trendy twist through her signature aesthetic and versatile design has proven to be a big hit. “Our heart locks come in infinite versions and are highly functional objects designed to be worn in as many ways,” says Marla. “While they all open and close the same way, that’s where their similarity ends. 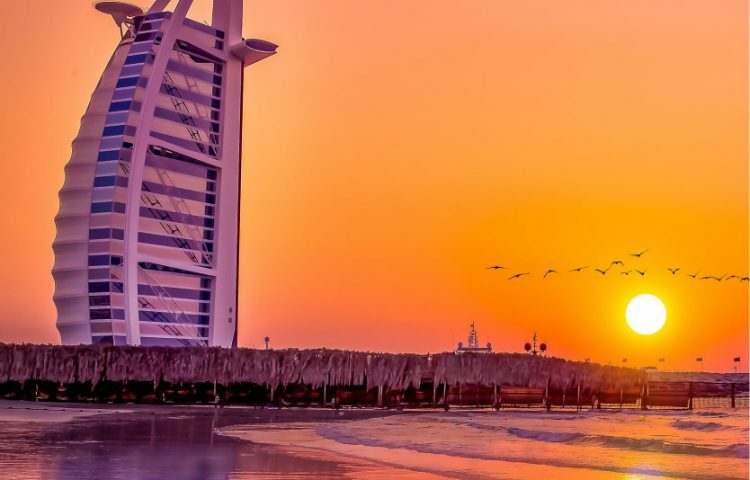 We do them in four colours of gold, platinum, and silver, and inlaid with stones, diamonds, and rubies.” Truly, the possibilities are endless, especially with secret messages that can be engraved to personalise each piece. 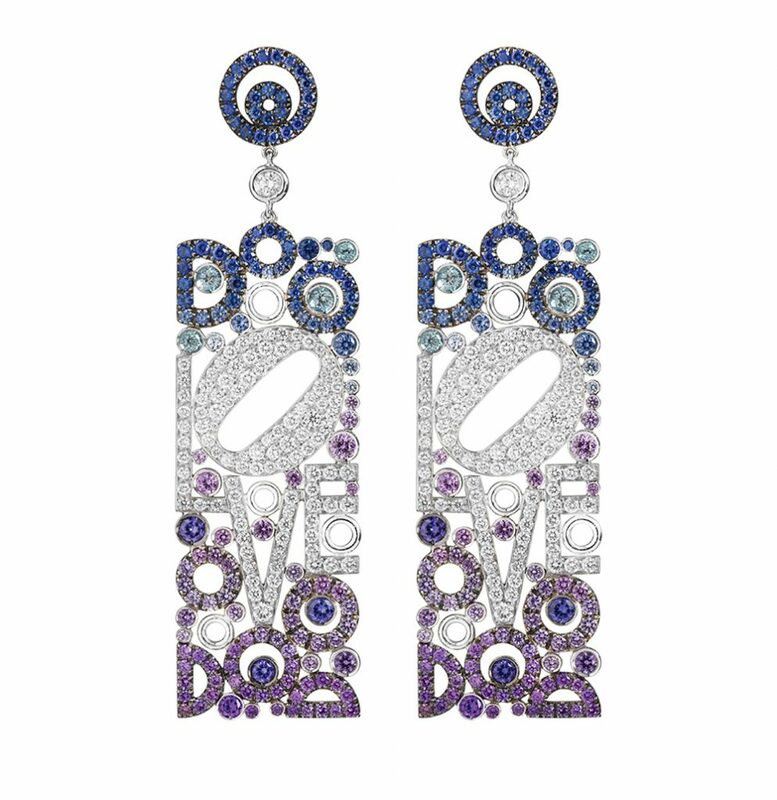 Lock Your Love pendants and charms from Flower Diamond are edgy with just the right amount of romantic connotation; while the Darling collection rectangular drop earrings sprinkled with white diamonds, sapphires, and semi-precious stones, envisioned passionately by Carlo Palmiero, have the perfect blend of art and romance. 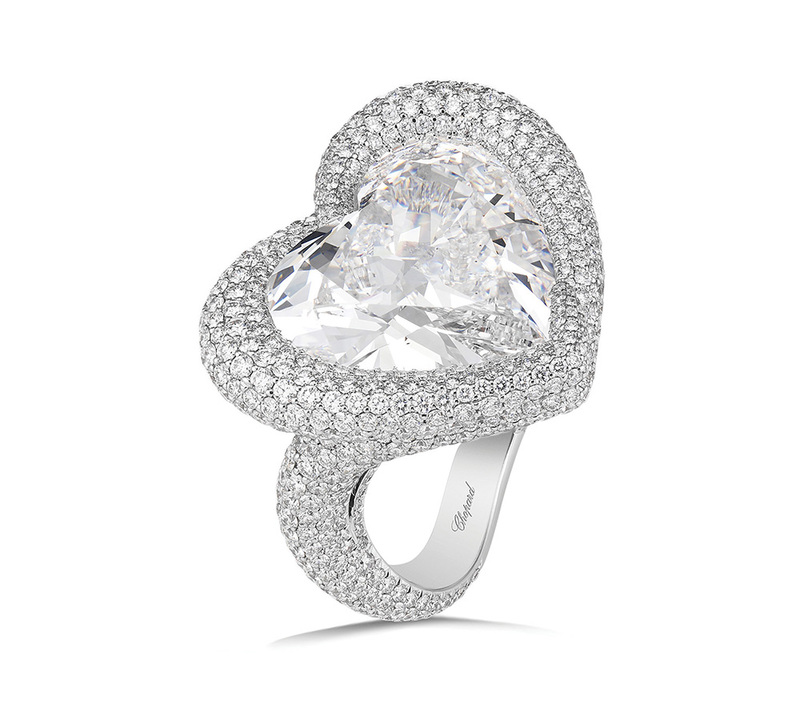 Statement rings are a great way to make a grand gesture, and Chopard offers gorgeous cues with its Haute Joaillerie white gold ring, featuring a sumptuous 7.5ct heart-shaped diamond. 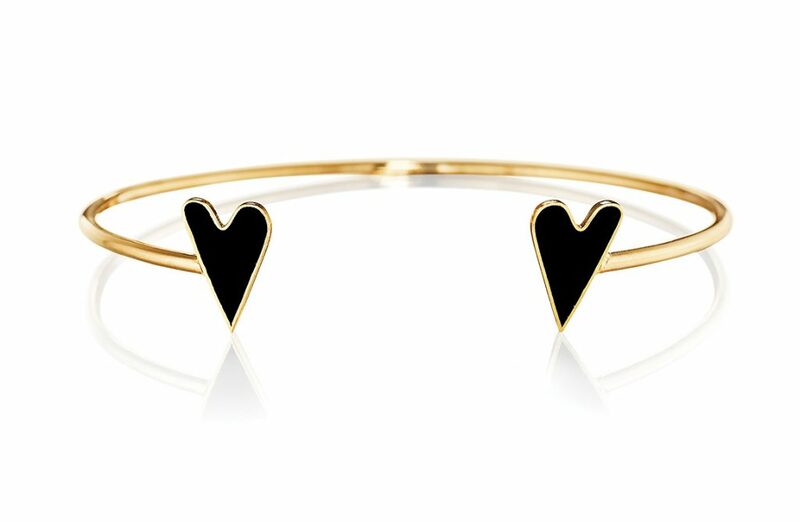 Adding a little NYC grit to the heart motif is Jessica Biales’ edgy take on the popular love icon. “I would never make a puffy, cute heart. It’s not my style,” says Jessica. “My heart is a New York Heart: fierce and cool. 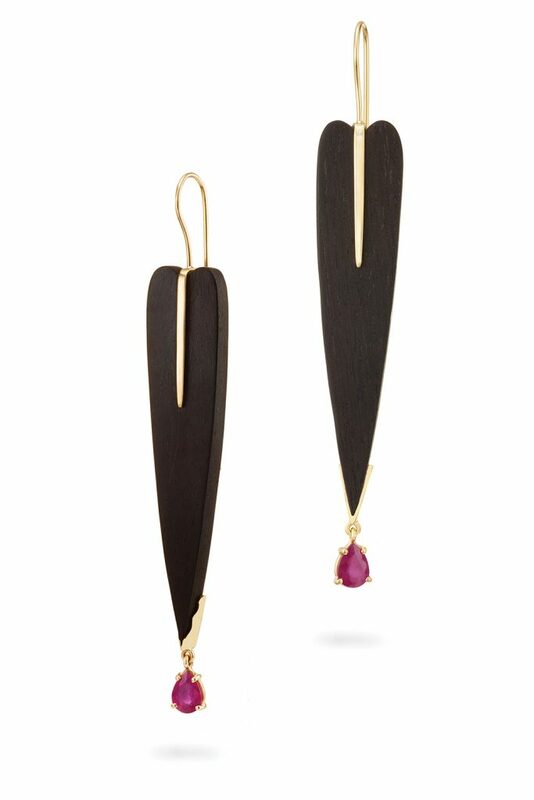 Not cute.” Another designer whose heart-inspired pieces take a contemporary turn is Elena Votsi. 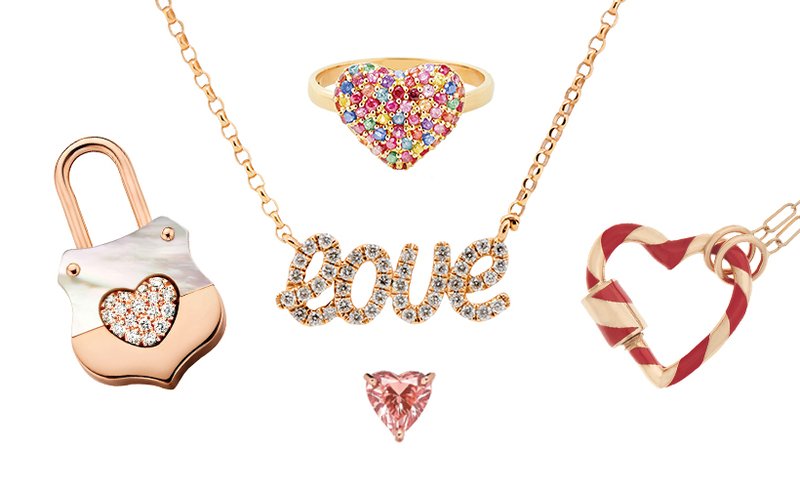 Hearts and geometric shapes are a hallmark to her style. 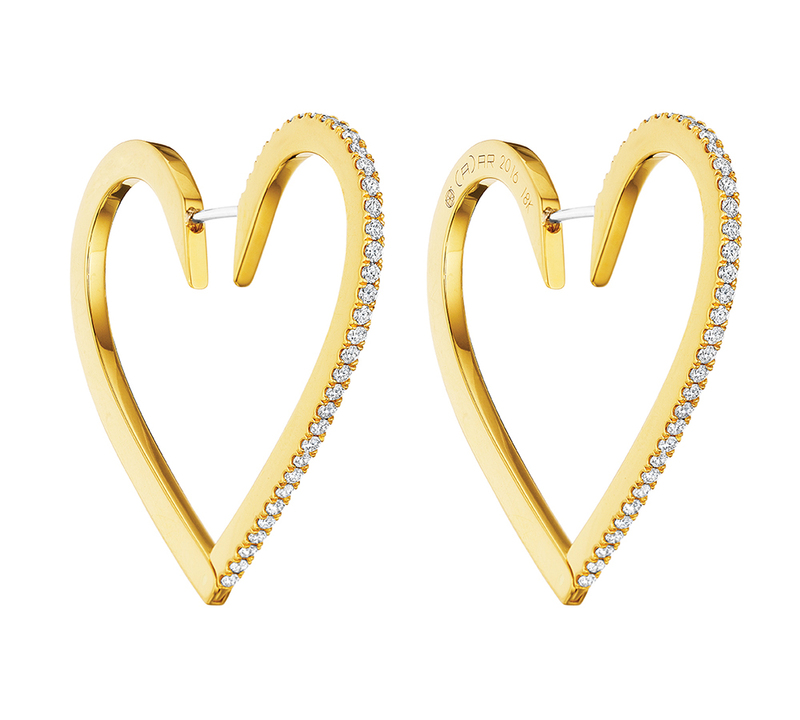 Meanwhile, delicate options such as SheeBee’s Puffy Heart ring, Dilys’ yellow diamond ring, or the luxurious heart-shaped Endless hoops by Cadar are brilliant creations that achieve feminine flair with quintessential details. 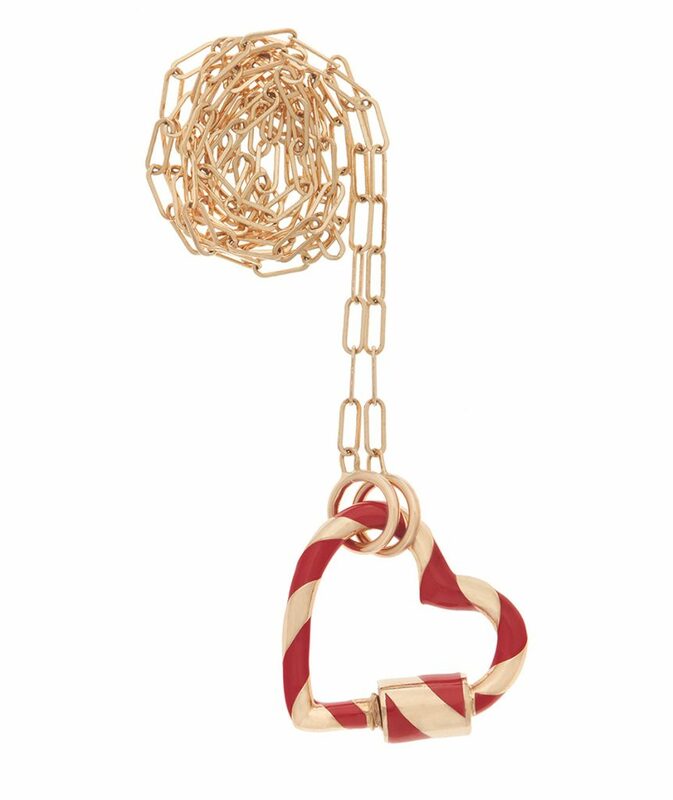 Steering clear of hearts, yet drawing inspiration from the motif, Irene Karandrikas’ Irini Love necklace is the perfect way to hold love close to your heart in a more subtle way, that is. 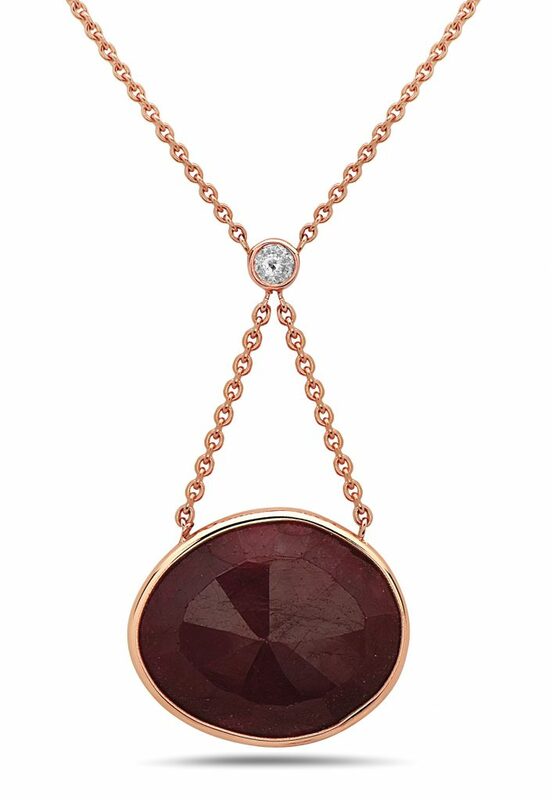 “It is believed that when you wear red close to your heart chakra, it accelerates the love energy you release and receive,” explains the designer. 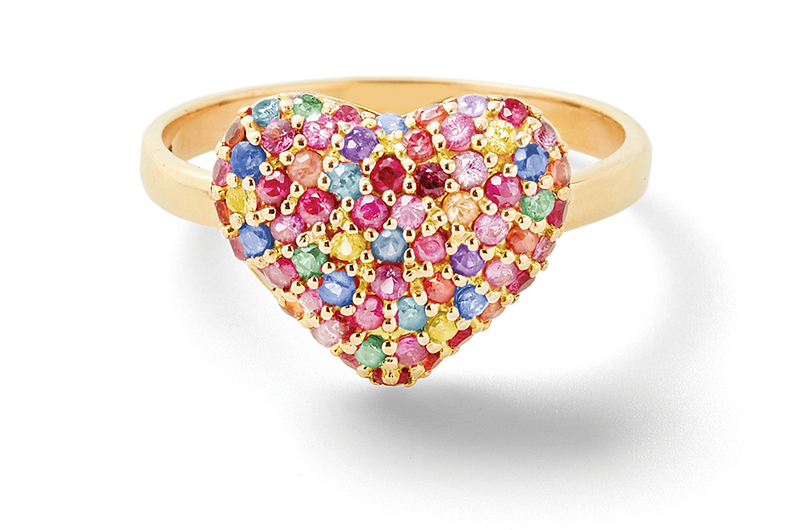 Although the heart is illustrated in so many ways, this shape and stone inspired the designer to create the piece. 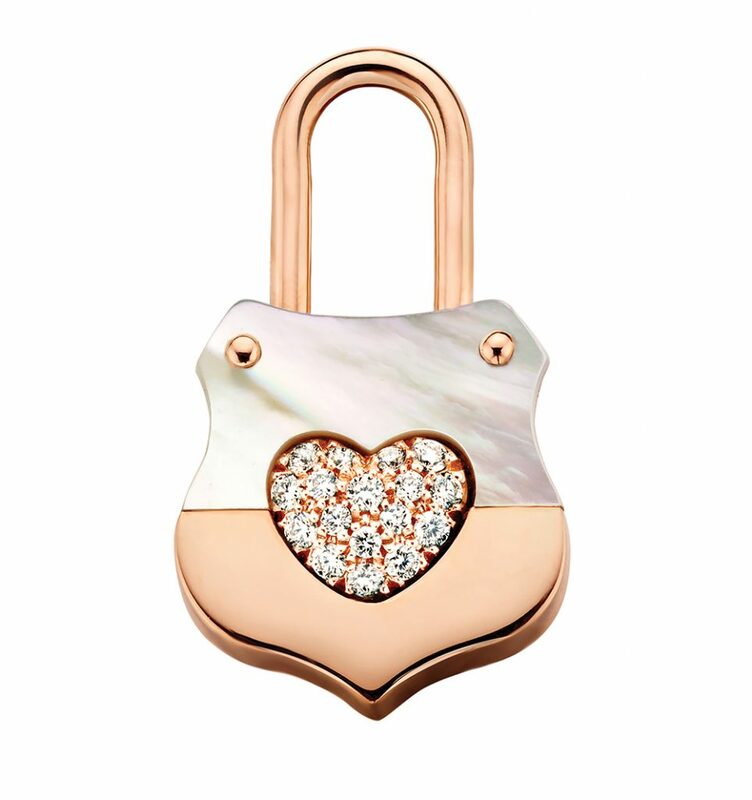 Delicately wrapped in rose gold, the Love stone is held together by a beautiful white diamond, a symbol of strength due to its unbreakable nature. 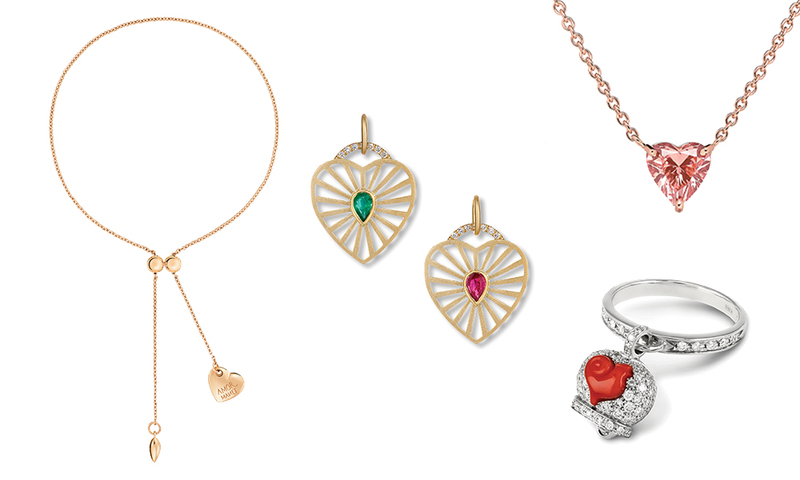 Kim-Eva Wempe’s signature line By Kim (from Wempe) includes Amor and Papillon collections, while Michelle Fantaci’s charms, inspired by a heart radiating with love, make for a charming accessory. Micro-campanella drop earrings and rings by Chantecler, imagined in white gold, pavèd white diamonds, and a central rooster in red coral, bring forth a Capri vibe. Meanwhile, pastel tones rule the roost at Lightbox. Using a playful approach with their designs and colour palettes — in white, pale blue, and blush pink — Lightbox lights up an array of shapes, including hearts. 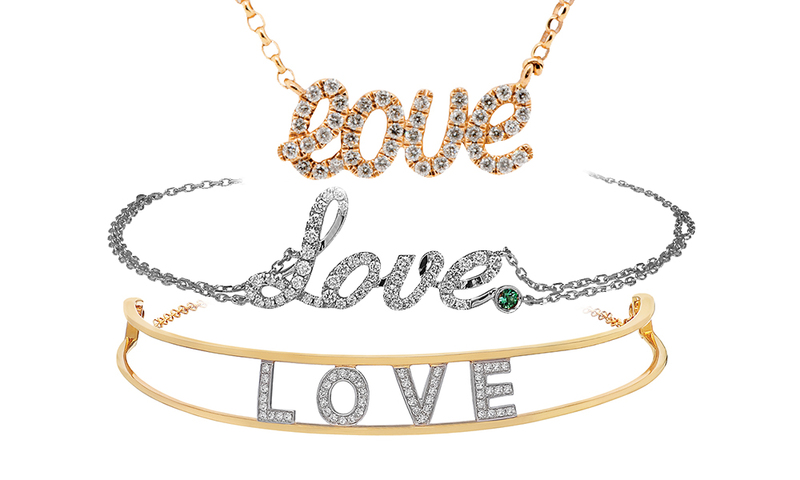 Alternatively, spell it out this Valentine’s season with script jewels. Spallanzani, Carat 55, and Jacob & Co have interesting and elegant designs on offer.